If you've been following Kapil Sharma's Twitter updates on Friday evening then it must have been confusing. After several abusive posts - some referencing Salman Khan's sentencing after the blackbuck verdict and some on his source of income - shocked the social media, Kapil Sharma revealed that his account was hacked. "Hi all please ignore the previous offensive tweets as my account was hacked. Apologies for the inconvenience caused. Love and regards to all," Kapil tweeted and then deleted it after a few minutes. 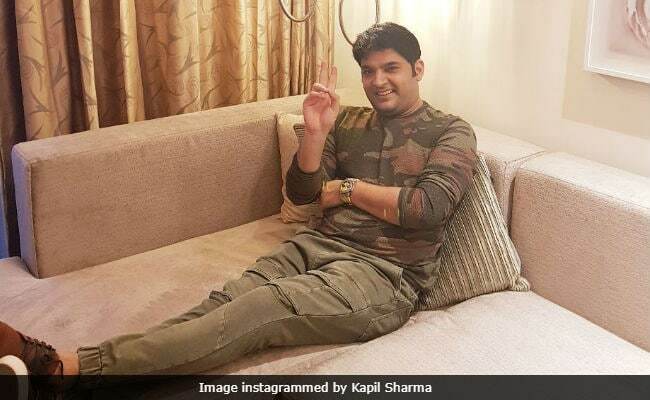 Now, a section of the Internet is not convinced that Kapil Sharma's Twitter account was hacked while some users want to give him the benefit of doubt. 1. You never use full stop at the end of sentence. I Think His Account Is Hacked!! One of the abusive tweets was sent as reply to Anurag Dixit's post, who has demanded "a public apology for abusing" him. You have 24 hours to issue a public apology, else I will see you in court where not only your abuse but your claim of your account getting hacked will be examined. Ball is in your court. Kapil Sharma recently returned to the small screen with a new show, titled Family Time With Kapil, which is the Firangi actor's second innings with the same showrunners. However, it failed to generate TRPs and it has been reported that the showrunners are contemplating to pull the plug on the show. Apart from television, Kapil Sharma has featured in films such as Kis Kisko Pyaar Karoon and Firangi.